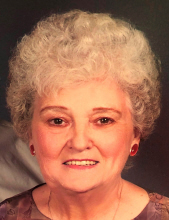 Carol Louise Campbell Propst, 78, of Rockingham, passed away Sunday, February 3, 2019 at Sentara RMH Medical Center. She was born in Franklin, WV on August 18, 1940, and was a daughter of the late Elmo Edward and Ernestine Elizabeth (Corbett) Campbell. Carol was a member of Muhlenberg Lutheran Church. She was united in marriage on August 10, 1963 to Harley Leo Propst. Surviving in addition to her husband are four children, Anthony “Tony” Propst and wife Michele, of Dayton, Gina DePoy and fiancé' Scott McAvoy, of Mt. Crawford; Larry Propst and wife Jill of Harrisonburg, and Tricia Perry and husband Jason, of Grottoes; two sisters, Dorothy Brown, of Franklin, WV; Nancy Grogg, of Grottoes. She is also survived by nine grandchildren, Delanie Propst, Harleigh Propst, Bethany DePoy, Allison DePoy, Jason Propst, Sarah Propst, Eva Perry, Myra Perry and Braedon Perry; and a great-grandchild expected in July. She was preceded in death by two brothers, Edward "Buster" Campbell and Dennis Campbell, and two sisters, Ellen Shank and Isabell Bowers. A funeral service will be held at 1:30 PM on Wednesday, February 6, 2019 at Muhlenberg Lutheran Church in Harrisonburg with Rev. Lauren Miller and Pastor Jay Linaburg officiating. Burial will follow at Mount Crawford Cemetery. The family will receive friends on Tuesday, February 5, 2019 from 6:00 to 8:00 PM at Johnson Funeral Service in Bridgewater. In lieu of flowers, memorial contributions may be made to Muhlenberg Lutheran Church, 281 E. Market St., Harrisonburg, VA 22801. To send flowers or a remembrance gift to the family of Carol Louise Campbell Propst, please visit our Tribute Store. Rev. Lauren Miller and Pastor Jay Linaburg officiating. Burial will follow service. "Email Address" would like to share the life celebration of Carol Louise Campbell Propst. Click on the "link" to go to share a favorite memory or leave a condolence message for the family.